Q. We are a society conducting events for our members. For the events, we get sponsorship amounts from our clients. We raise a sponsorship invoice on the client and GST is payable by the client on reverse charge basis. This is accordingly indicated in our invoice. We also receive delegate registration fees where we collect GST amounts directly from the delegate for the event. We incur expenses relating to the events. Can we take the full input credit for these expenses or should we take only pro-rata input credit based on the proportion of delegate income to total income, since GST is not directly payable by us on the sponsorship? Please advise. (2) Where the goods or services or both are used by the registered person partly for effecting taxable supplies, including zero-rated supplies, under this Act or under the Integrated Goods and Services Tax Act and partly for effecting exempt supplies under the said Acts, the amount of credit shall be restricted to so much of the input tax as is attributable to the said taxable supplies, including zero-rated supplies. Therefore, you may restrict input tax credit, as prescribed under Rule 42 of the CGST Rules, 2017. Q. By mistake we did not pay GST @ 5 per cent on transport charges. 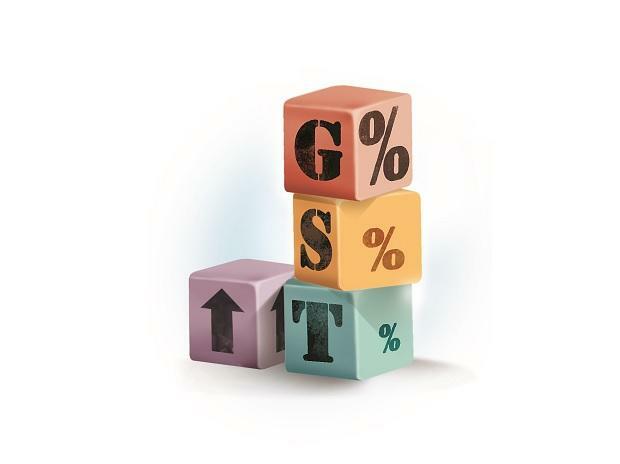 We understand we can pay GST @ 5 per cent and claim ITC credit. Now, if we pay GST for year 2017-18, can we avail ITC credit till March 31, 2019 or April 20, 2019, as per your article in BS? Is ITC for 2017-18 available only for bills raised by our vendors on us or is it available also for GST paid by us on reverse charge basis for 2017-18? You may refer to S. Nos. 8 and 9 of the notification 8/2017-Integrated Tax (Rate) dated June 28, 2017 (as amended) and the corresponding notifications under the CGST and SGST laws. There, under headings 9964 and 9965, a number of transport services attract the 5 per cent rate provided credit of input tax charged on goods/services has not been taken or in some cases, such credit is not utilised for paying the tax. You may determine which entry is applicable in your case. Secondly, the decision of GST Council at its 31st meeting to give further time to claim ITC for FY 2017-18 invoices till due date of filing GSTR-3B of March 2019 has been given effect to through CGST (Second Removal of Difficulties) Order 2018 dated December 31, 2018 (Order no. 2/2018-Central Tax) issued under Section 172 of the CGST Act, 2017. It amends Section 16 (4) of the CGST Act, 2017.